Order this magazine for myself online quite some time ago and was so happy that it finally arrived in my mailbox. Books Kinokuniya had a similar magazine gwp too many months back. Didn’t manage to get my hands on a set as it was sold out at a very fast speed. Was so glad it came back again. Do hurry if you would to get a copy. One lady in front of me check out 10 copies of the magazine at one go. Wonder how she is going to carry it home. I only buy 2 copies and its very heavy already. Finally have time to collect the Sarah Jessica Parker mag gwp that my friend had so kindly helped me purchased online quite some time ago. Aren’t they such babes? I was unable to do so myself due to the lack of debit/credit card. Am seriously considering about getting myself a debit card. Thanks pal ! I owe you a treat. 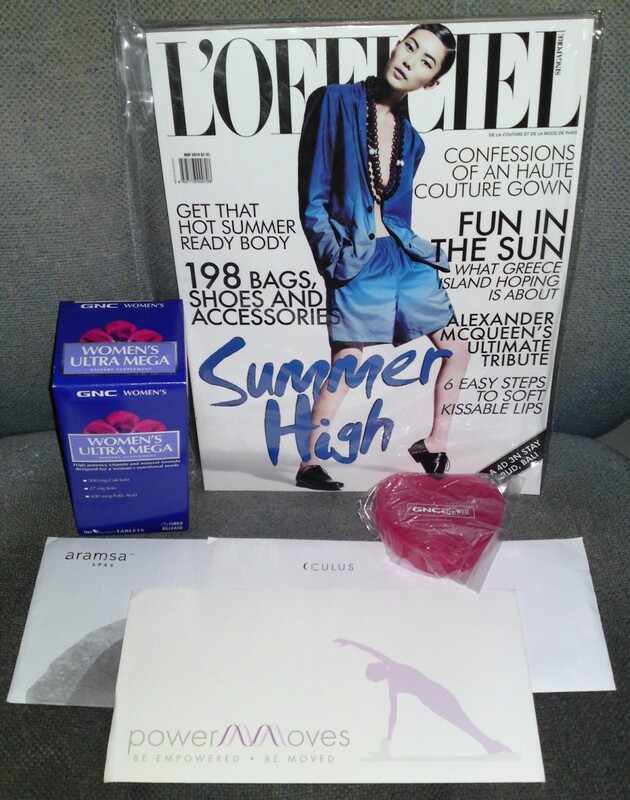 I signed up for this event via L’Officiel magazine facebook and was so looking forward to it. I seriously need to lose some fats in me. But sadly, I am road idiot, plus being caught up with work at the eleventh hour, I was super late for the event. Ms Lixuan kindly dropped me an sms when I did not turn up on time and was also very helpful by giving me directions over the phone. I am seriously considering bringing along with me a street directory wherever i go. The event was about to end when I finally arrived. Only manage to take a few looks around before leaving with my goodie bag. Am so gonna share them with Sister Christy. I love to go on shopping trips with my mum. She is definitely my best shopping companion. 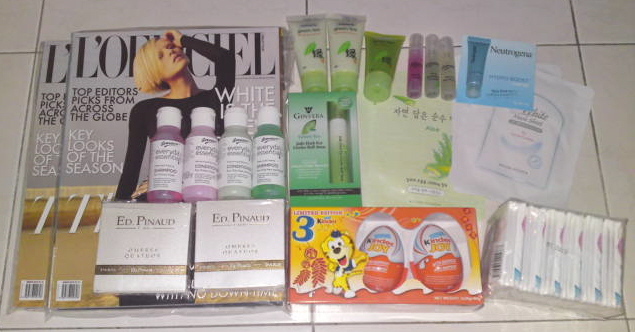 Here are our loots for today. We started our day with a trip to FR3B concept store for sample theraphy. Thanks to Nora who informed me about the new samples that are available in the concept store. She is my angel. 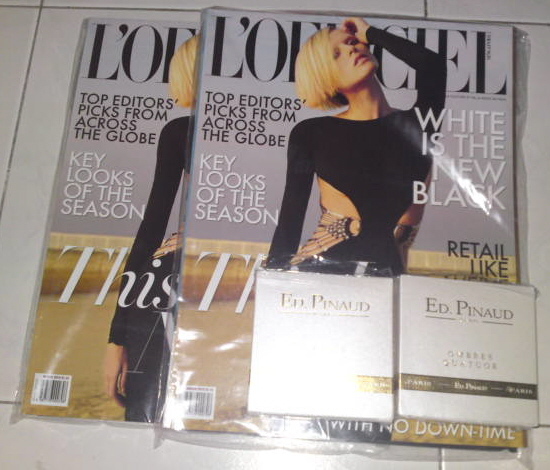 After which, I make a trip down to MPH Citylink to try my luck on getting L’Officiel magazines. This mag is sold out in many places and even Kinokuniya. Was so happy to be able to get my hands on 2 copies. We next head towards Plaza Singapura, where we had a scrumptious meal at Yoshinoya before popping by Etude House to check out for new products. The door gift was a box of cotton pad, which I gave back to the SA. 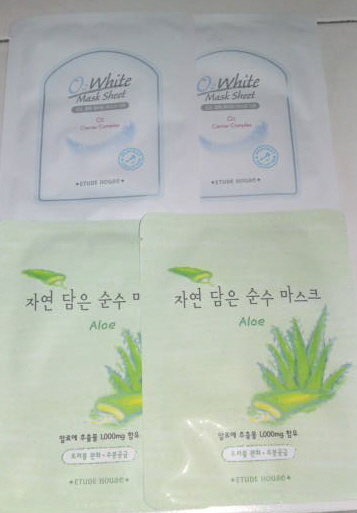 Didn’t find anything that interest me and left after buying 2 masks. The O2 mask is a gift for every mask purchase. 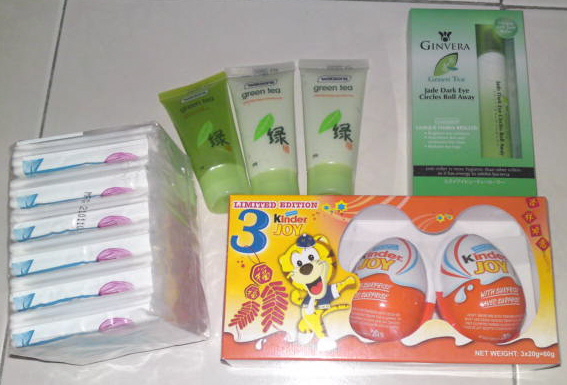 Went into Watsons to get some items before we finally call it a day. Didn’t manage to get everything that is on our shopping list, but added some other last minutes buys into the basket. 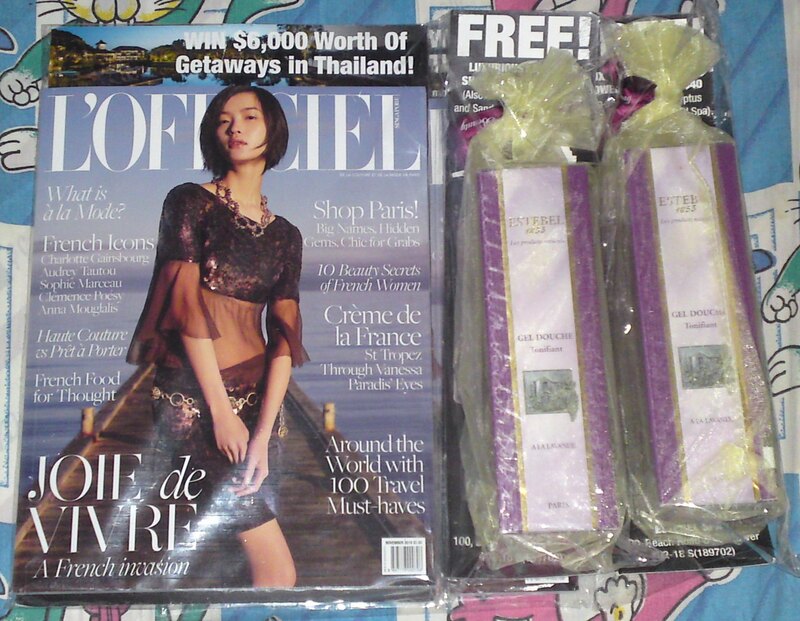 The much anticipated L’Officiel magazine had finally arrived in my mailbox today. 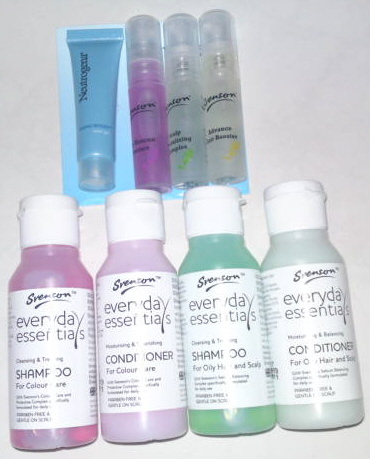 If not for Sister Christy from Beauty Runway who helped me with the purchase, I would never have been able to own them. She is my god sent angel.